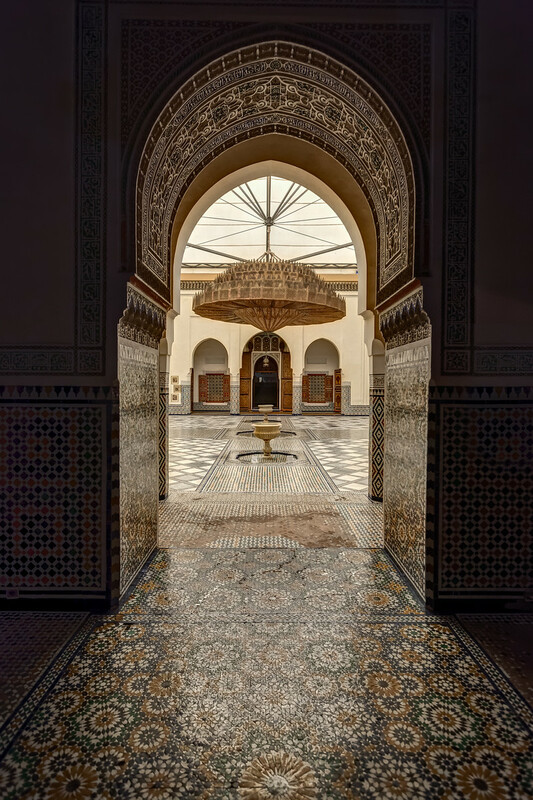 Photos from the beautiful and mysterious Kingdom of Morocco. 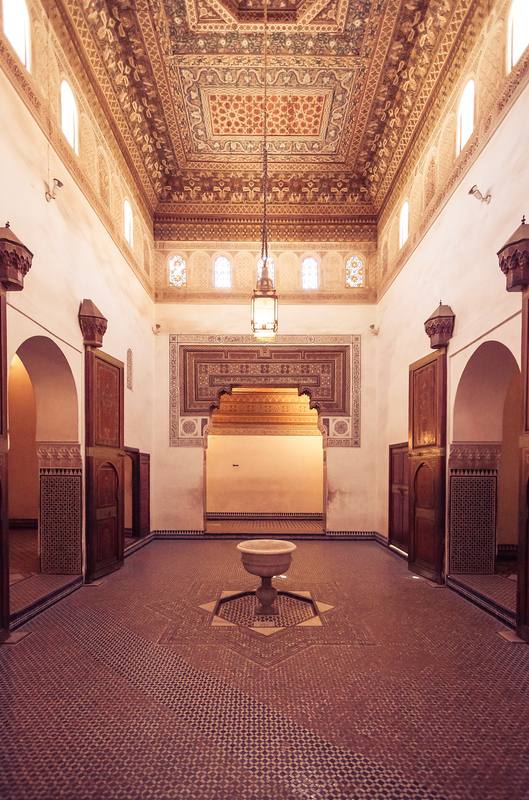 This is but one of the ornate rooms that make up the beautiful Bahia Palace in Marrakech, Morocco. 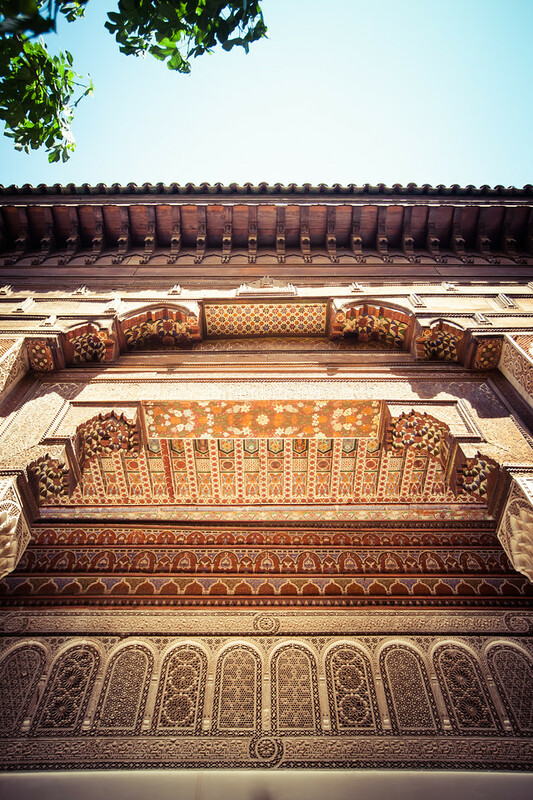 This is a detail shot looking up at one of the many archways surrounding one of the buildings at Bahia Palace in Marrakesh, Morocco. 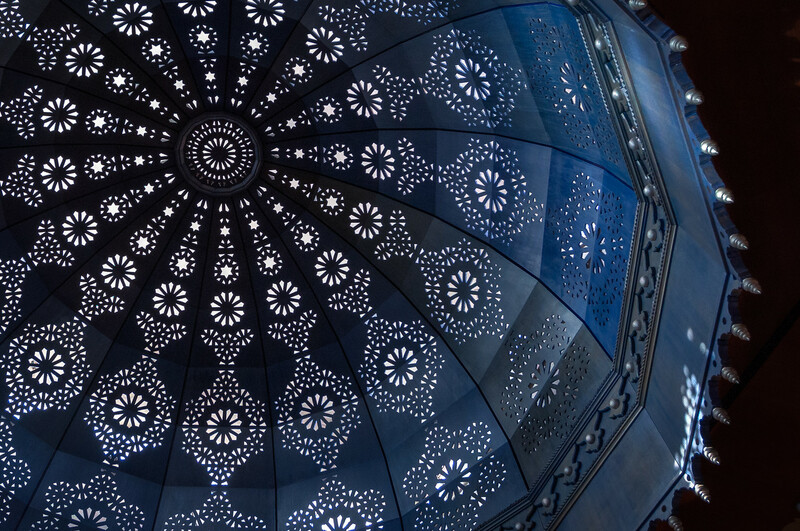 I have said this many times, but I have a fantastic love of Islamic art. The depth you can find in the repeating patterns and the impossibly ornate work done by these artisans comes together as some of the most beautiful architecture in the world. It’s difficult to describe just how beautiful I find Islamic art. I was first introduced to infinite repetitions in Hawaii of all places. I am come to find it’s geometry, repetition and message somehow soothing. Entering the Ben Youssef Medersa in Marrakesh, Morocco you immediately know you are entering another world. The craftsmanship in this school is beautiful beyond most anything I have ever seen. I sat in this place for hours mesmerized. A quick photo for today. I took this in Jardin Majorelle in Marrakesh, Morocco. I was surprised to find how incredibly splendid the gardens are in Morocco. I love touring gardens (not gardening myself) and this one was absolutely an interesting place! 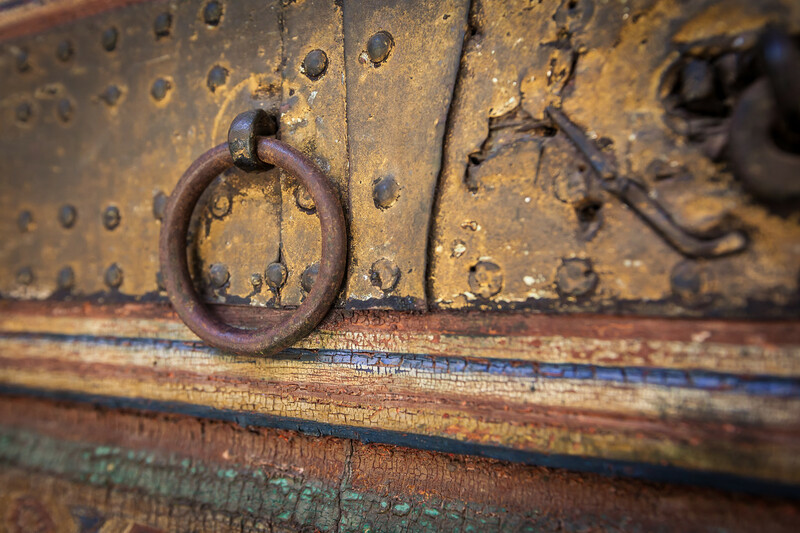 I may never understand my attraction so some things, one is photos shot in shallow depth of field of old handles that grace the old palaces of the world. I can probable at this point put together a book of the worlds greatest things to “grab and open stuff”. Here is another such example of my odd affection for these rings and knobs from Marrakech, Morocco. I don’t think until my travels this year to Morocco and Arizona did I fully realize the beauty of the desert. What from a far seems barren and lifeless is minimalism and essence, pure form. It is a place teaming with life, if you only bother to look. 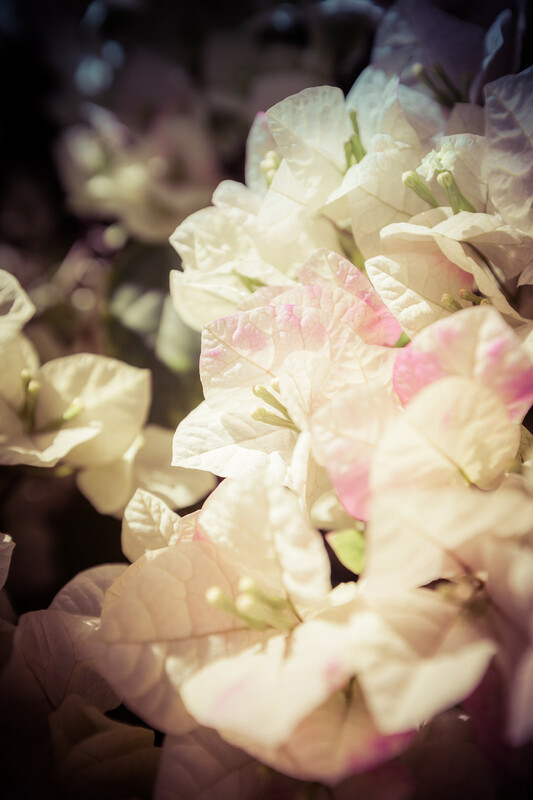 To survive you have to adapt and be strong, but there is a pureness to the place, an elegance. I wasn’t allowed in inside Koutoubia Mosque, but I was of course allowed to walk around the grounds. 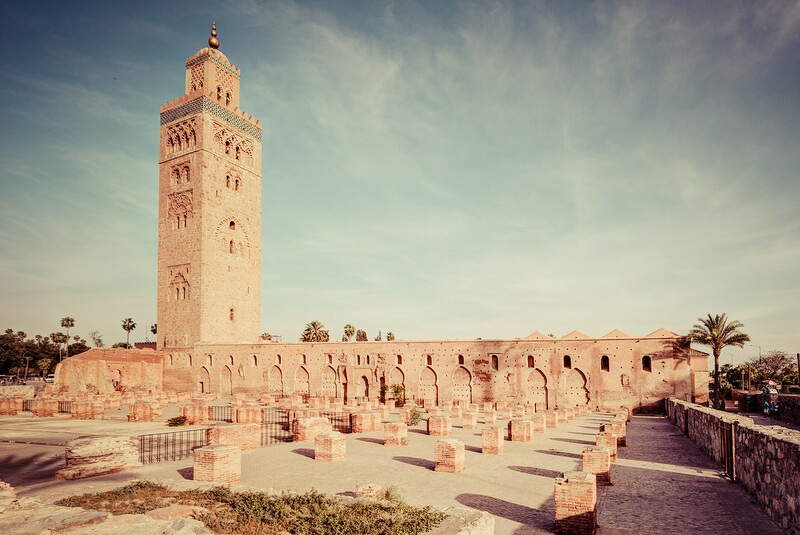 It’s a HUGE structure seemingly in the middle of the old city, and the Minaret is one of the tallest things around, so you always seem to be drawn to the Mosque. 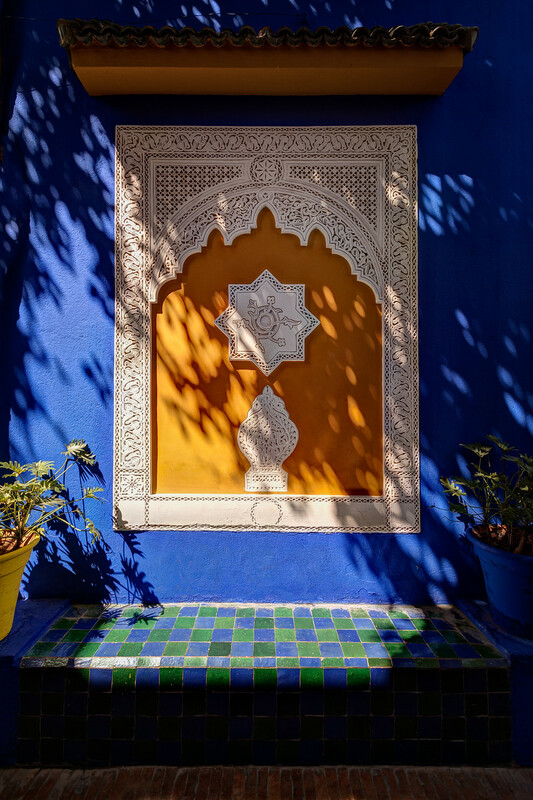 Today’s photo is of the art deco Artist’s Cottage at Jardin Majorelle in Marakesh Morocco. The blue is so famous, they named it Majorelle Blue (indigo, basically). The studio has been converted to a museum focusing on Yves Saint Laurant’s collection of Berber costumes and jewelry. It is a WONDERFUL collection, but I was hoping to see the art deco interior of the cottage as it would have appeared when Jacques Majorelle would have used it. Perhaps it was originally boring inside (though I cant imagine that given the exterior), or perhaps they didn’t want competition for the Berber exhibit. I didn’t think I would find myself so taken with the artwork of Marrakech, but it’s so omnipresent its hard to not be impressed. Perhaps it’s the stark backdrop of the desert, it frames everything. Everywhere I looked seemed to be contrasts. The Red City is rust red with bland buildings, but everywhere are orange trees and rose gardens. Islamic tradition shows no outward signs of wealth. Inside is another matter entirely. Looping geometric tile patterns, stained glass, woodwork like I have never seen. 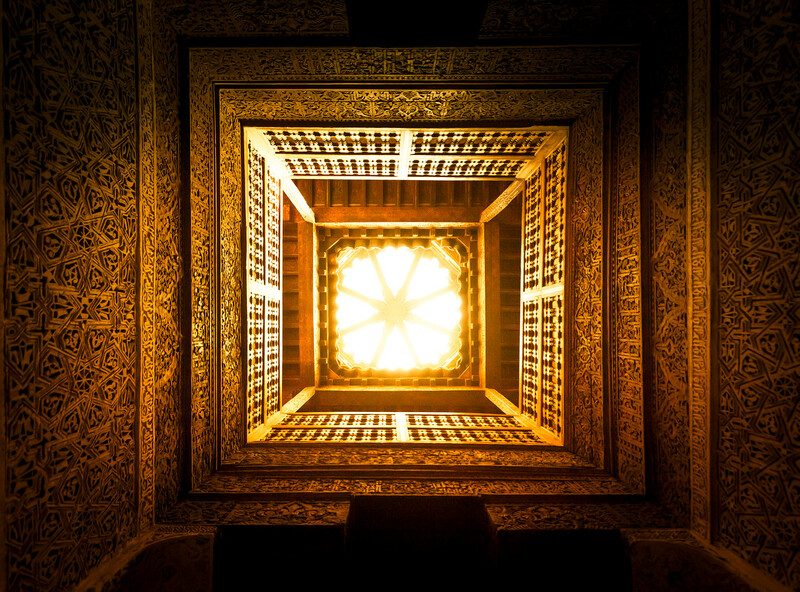 The craftsmanship of many of these homes, palaces and schools is absolutely incredible! The color is hypnotic, so vibrant it forces you to look at it, even though you should be enjoying the plants. Jardin Majorelle is a strange place, with its terracotta pointed concrete sidewalks and phallic ode to Yves Saint Laurent. It is a decent collection of plants from all over and there is something serene and wonderful though all the tourist laden wash. Perhaps its the history of the place. 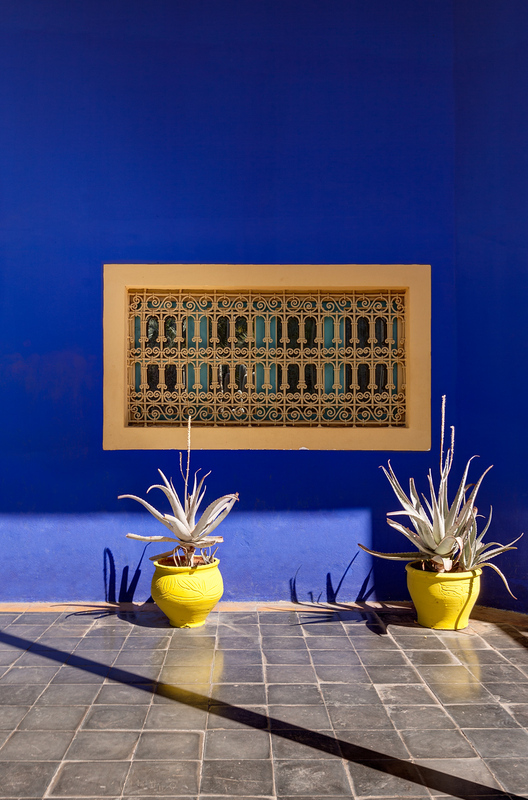 It was home to two artists Jacques Majorelle, for which the garden is named and fashion designer Yves Saint Laurent who rescued the site from ruin. It is that history that held up this site…that and the impossible blue. I don’t know what I expected in Morocco, but it was completely different. It’s always the same story with me. I travel to some far off land and despite knowing I should not have any preconceived notions, I always do and they are ALWAYS wrong. Morocco is the second predominantly Muslim country (though most of that time was in Bali, a mostly Hindu island) I have visited this year and people are as they are all over, helpful, kind and genuinely good. This is not unexpected…I learned long ago the basic kindness of others. It is the overwhelming nature of Marrakech that was so surprising. I have not had a greater assault on my senses anywhere I liken it to a casino, a three ring circus and 1000 hawkers, storytellers, fortune tellers actors and more…ALL AT THE SAME TIME! Islamic art stands by itself. It’s logical, mathematical, repeating, infinite…impossible to describe as its muse. The more I experience the art of the Middle East, the more and more I fall in love with it. My first real experience was at the Doris Duke Foundation in Honolulu, but this trip to Marakech deepened my understanding and love of this geometric representation of divinity.